The Google Home connected speaker has been on sale for less than six months, but a new report claims the company is already working hard on the next version of the product. The story says the new version might include an embedded mesh Wi-Fi router inside. The report comes from The Information (paid subscription required), via unnamed sources. It says that Google is considering adding the Wi-Fi router hardware inside the next Home speaker so it can offer consumers a more complete connected home device. The company already sells a separate mesh-based Google Wi-Fi router that launched in December 2016 in the US, a month after Google Home launched in November 2016. Both products will officially go on sale in the UK starting tomorrow, April 6. So far, Google has yet to reveal sales numbers for either device. In fact, the story claims that at one point, the company’s plan was to launch Google Wi-Fi with a speaker, a microphone and access to Google Assistant. However, the company decided against that move, fearing it would confuse customers. Wi-Fi router hardware in Google Home would make it stand out from its competitors, including Amazon's Echo speakers. 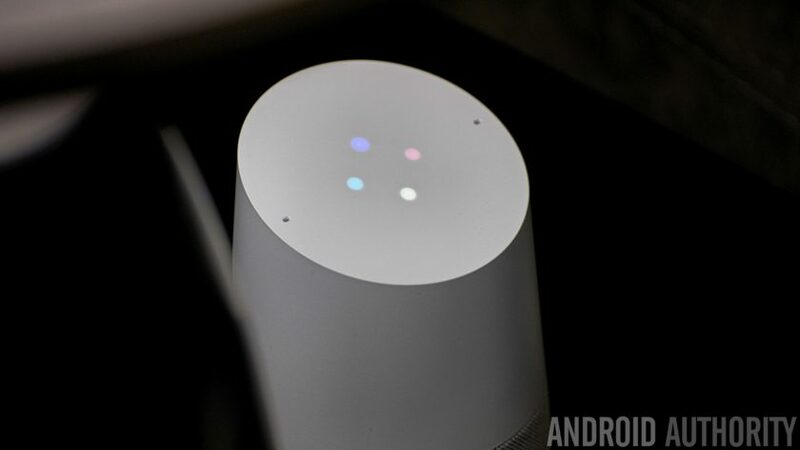 Another reason for adding Wi-Fi router hardware inside a future version of Google Home is that it will allow owners to get faster responses to the speaker’s Google Assistant digital AI service. It would also make the speaker stand out against its competitors, most notably with Amazon’s Echo family of speakers. If this story is accurate, adding a mesh Wi-Fi router inside a Google Home speaker could make it pretty expensive. Both Google Home and Google Wi-Fi are priced at $129 each in the US. The Information’s story did not offer any pricing info or a release date for the next version of Google Home. While adding that kind of hardware would indeed make Google Home a more complete internet connected device, most households that would be interested in such a product already have a Wi-Fi router installed. If it is to be successful, the speaker would have to have the right price point, no matter how well the mesh Wi-Fi router works.